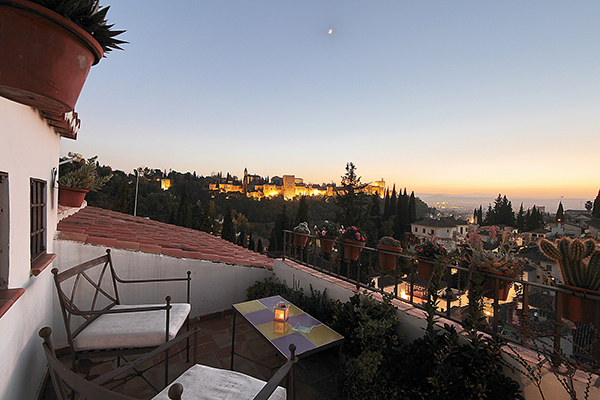 A nice quiet spot to spend a few days in the lovely Granada. 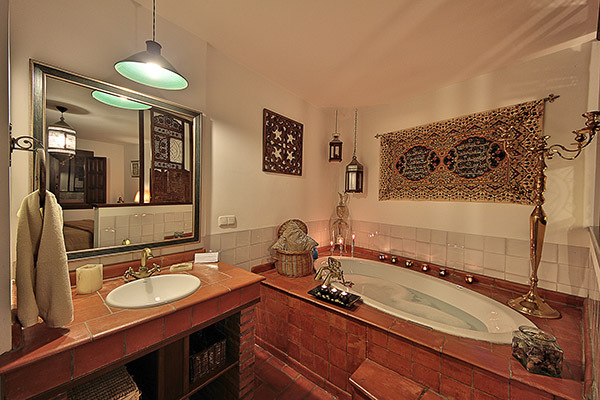 Every detail and accessory in our house has been chosen to guarantee a high level of relaxation. 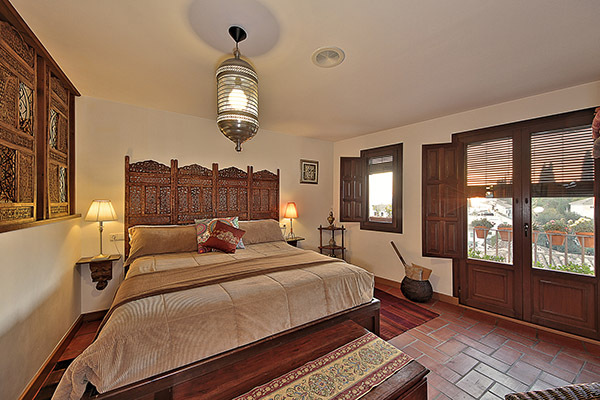 The traditional oriental furnishings and deco of our rooms and common spaces inspire a sense of peace and tranquility throughout the house. 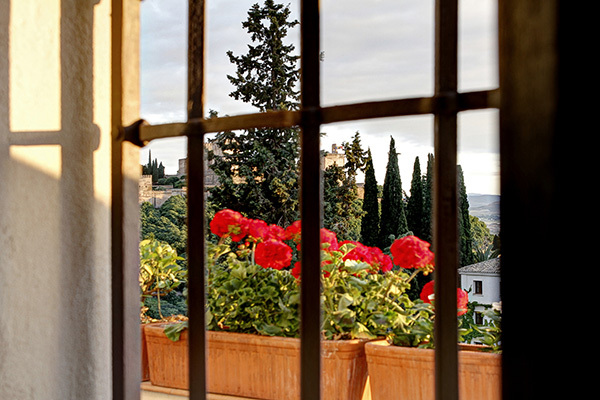 We set the scenery for our guests' stay with us, to maximise their sense of physical and spiritual repose. 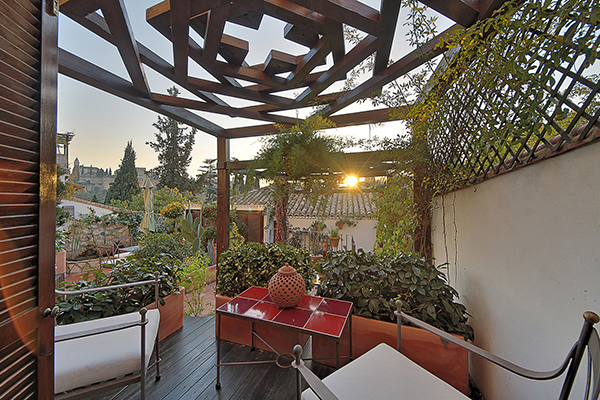 A gorgeous patio decorated with fruit trees, shrubs and other indigenous plants and flowers that can be enjoyed during both summer and winter. 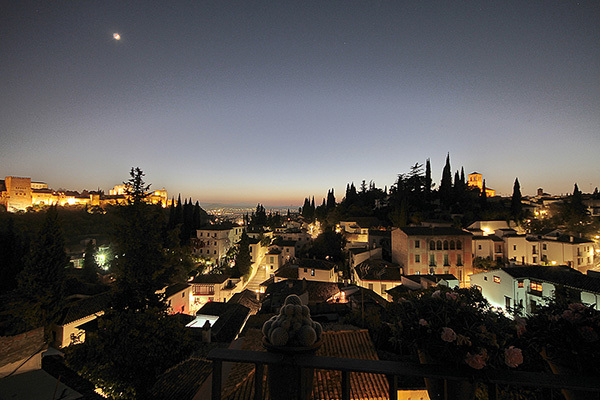 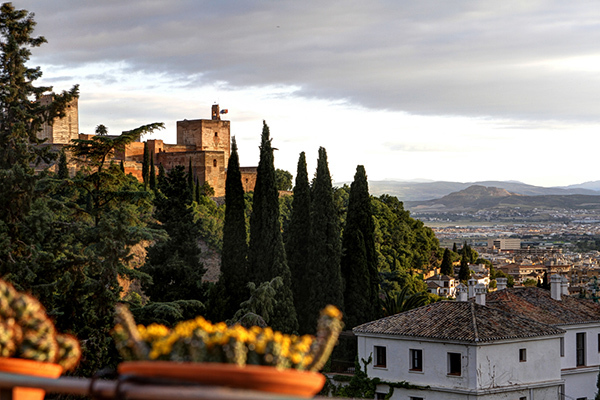 Breathe-in the fresh air and realx in peace and tranquility against the backdrop of the forever present Alhambra Palaces. 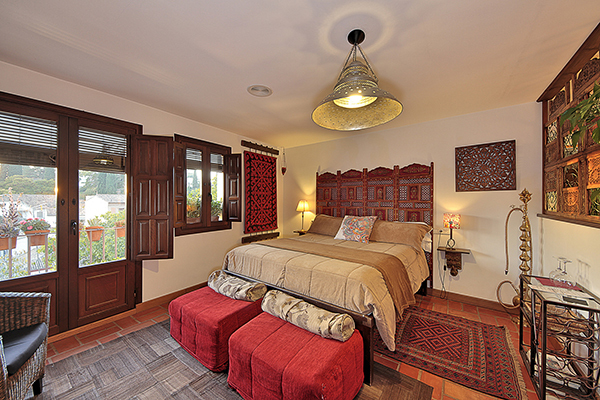 Can accomodate up to three guests 30 m2, King-size bed (180 x 200 cm). 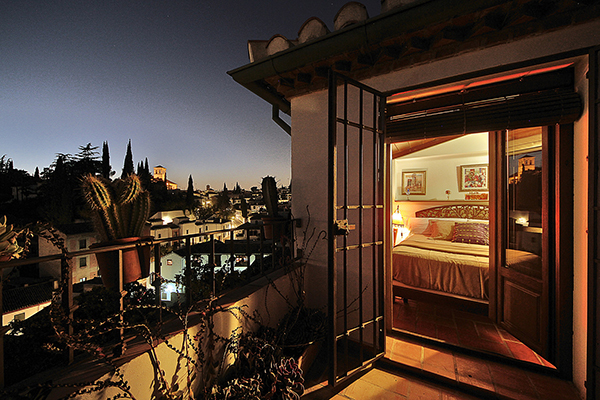 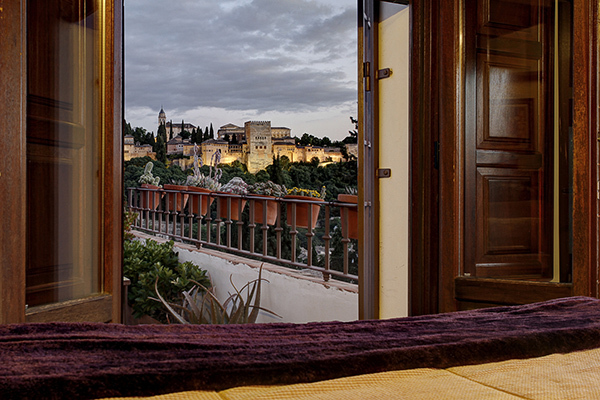 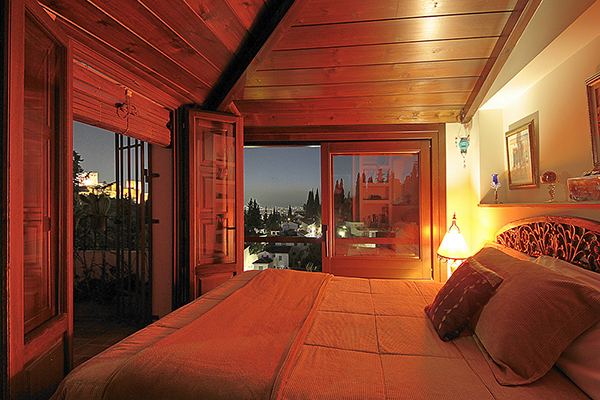 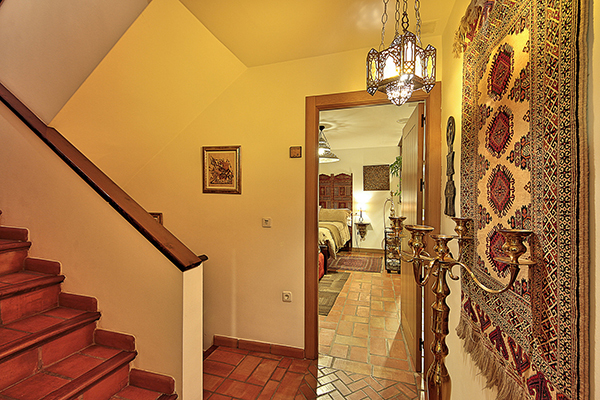 This extremely peaceful room boasts a gorgeous private terrace with views of the Alhambra. 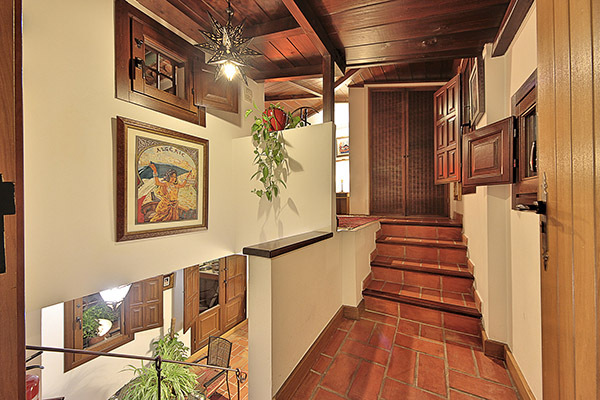 (Air conditioning, Free Wi-Fi, Fully equipped bathroom, Hair dryer).